A miscarriage is a loss of a pregnancy at less than 24 weeks’ gestation. Early miscarriages occur in the first trimester (<12-13 weeks) and are more common than late miscarriages, which occur at 13-24 weeks. Sadly, miscarriages are relatively common and occur in 20-25% of pregnancies. They are classified according to clinical and ultrasound features (see Appendix 1). In this article, we shall look at the risk factors, clinical features and management of miscarriage. Fig 1 – Examples of uterine structural abnormalities. A – Intrauterine adhesions, visible on hysteroscopy. B- Uterine fibroids, visible on laparoscopy. These are both a risk factor for miscarriage. The main presenting symptom of miscarriage is vaginal bleeding. This may include passing clots or products of conception. However, a significant number of miscarriages are found incidentally on ultrasound. If there is excessive bleeding, this can lead to haemodynamic instability – manifesting as dizziness, pallor, and shortness of breath. The bleeding is often accompanied by a suprapubic, cramping pain (similar to primary dysmenorrhoea). Haemodynamic instability – pallor, tachycardia, tachyopnea, hypotension. Abdominal examination – the abdomen may be distended, with localised areas of tenderness. Speculum examination – assess the diameter of the cervical os, and observe for any products of conception in cervical canal, or local areas of bleeding. Bimanual examination – assess any uterine tenderness and any adnexal masses or collections (consider ectopic pregnancy). 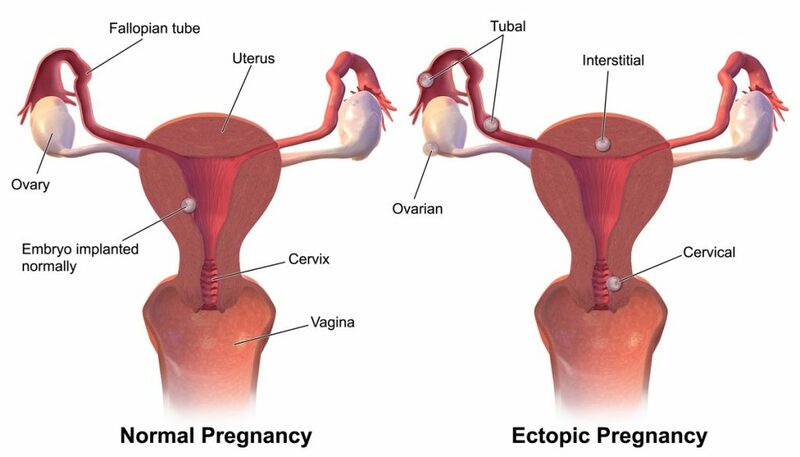 Fig 2 – An ectopic pregnancy is one that is implanted outside the uterine cavity. In the UK, patients with a suspected miscarriage (positive urine pregnancy test + vaginal bleeding +/- pain) should be investigated in an Early Pregnancy Assessment Unit with access to scanning equipment and expertise in managing early pregnancy problems. The definitive diagnosis is made via a transvaginal ultrasound scan. The most important finding to exclude miscarriage is fetal cardiac activity. This is observed transvaginally at 5½ – 6 weeks gestation. Gestation can be estimated by the fetal crown rump length (CRL). If the CRL <7.0mm and no fetal heart is identified, a conclusive diagnosis of miscarriage cannot be made – a repeat scan in at least 7 days is required. If >25mm, a diagnosis of failed pregnancy can be made. If <25mm, a repeat scan needs to be arranged in 10-14 days. Note: a transabdominal ultrasound scan can be performed if TVUS is not acceptable to the patient, or in more advanced gestations. However, the sensitivity and specificity are not as good – and the patient should be informed of this. Fig 3 – Ultrasound of a fetus with a CRL of 67mm. The heart is visible, but there is no heartbeat – this is a missed miscarriage. If ultrasound is not immediately available, a serum b-HCG may be indicated. This should not be used to diagnose a viable or non-viable pregnancy – but serial b-HCG measurements are useful in assessing the possibility of an ectopic pregnancy. There are three options for the definitive management of miscarriage, which all carry a similar risk of infection. Regardless of treatment type, if the patient is Rhesus negative and is greater than 12 weeks gestation, they require anti-D prophylaxis. If they are managed surgically, regardless of the gestation, they require anti-D (if RhD-ve). Conservative management allows the products of conception (POC) to pass naturally. Patients should have 24/7 access to gynaecology services during this time. Advantages: Can remain at home, no side effects of medication, no anaesthetic or surgical risk. Disadvantages: Unpredictable timing, heavy bleeding and pain during passage of POC, chance of being unsuccessful requiring further intervention and need for transfusion. Follow-up: Some units will arrange a repeat scan in two weeks. Others will arrange a pregnancy test 3 weeks later. Contraindications: Infection, high risk of haemorrhage ie. Coagulopathy, haemodynamic instability. Medical management involves the use of vaginal misoprostol (prostaglandin analogue) to stimulate cervical ripening and myometrial contractions. It is usually preceded by mifepristone 24-48 hours prior to administration. Advantages: Can be at home if patient desires, with 24/7 access to gynaecology services, avoid anaesthetic and surgical risk. Disadvantages: Side effects of medication: vomiting/diarrhoea, heavy bleeding and pain during passage of POC, chance of requiring emergency surgical intervention. Surgical management involves a manual vacuum aspiration with local anaesthetic if <12 weeks, or evacuation of retained products of conception (ERPC). In ERPC, the patient is under a general anaesthetic, a speculum is passed to visualize the cervix, it is dilated allowing suction tube to be passed and remove the products of conception. Patients typically attend hospital on the day of the procedure and are discharged the same day. Definite indication: Haemodynamically unstable, infected tissue, gestational trophoblastic disease. Advantages: Planned procedure (may help patient to cope with miscarriage), unaware during the process (patient under general anaesthetic). Disadvantages: Anaesthetic risk, infection (endometeritis), uterine perforation, haemorrhage, Ashermen’s syndrome, bowel or bladder damage, retained products of conception. Fig 4 – Vacuum aspiration; a procedure used in the surgical management of miscarriage. What is the upper gestational age limit for a pregnancy loss to be classified as a miscarriage? What is the main presenting symptom of miscarriage? Which of these is a significant risk factor for miscarriage? Which investigation provides the definitive diagnosis of miscarriage? A patient presents with mild vaginal bleeding. The internal os is closed, and a viable pregnancy is observed on ultrasound. What type of miscarriage is this? A patient presents with heavy vaginal bleeding. The internal os is open, and a fetus is seen on ultrasound. What type of miscarriage is this? Misoprostol is used in the medical management of miscarriage. What type of medication is it? A patient presents unwell with heavy vaginal bleeding. The miscarriage is managed surgically. Which of the following statement is most correct?